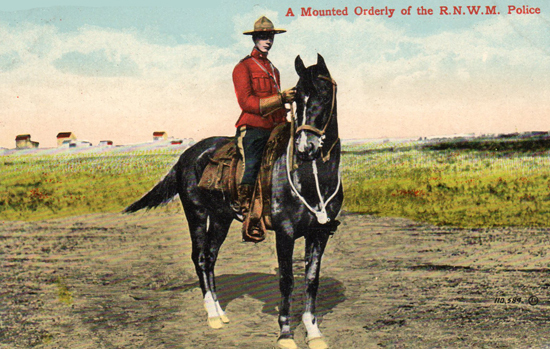 Early commercial photographs were taken and sold as postcards. The Force was a popular topic for being photographed. These photographs provide a valuable insight to the early times in the Force. 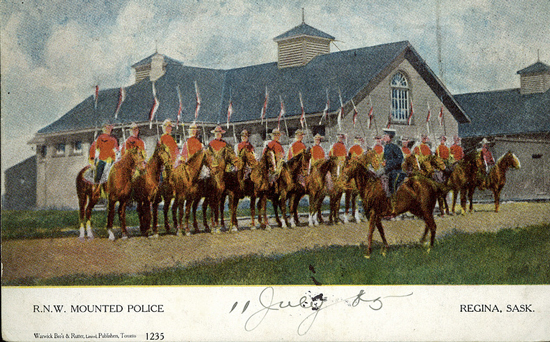 The first photograph below is that of the 2nd RNWMP riding school at Depot. 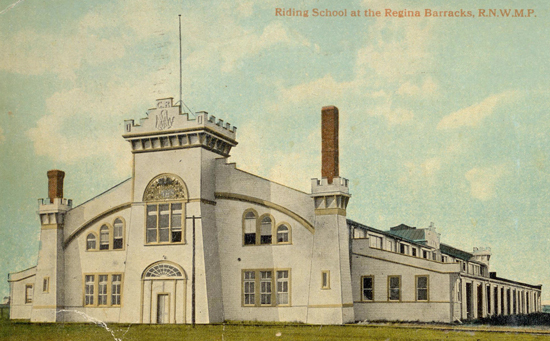 The first one was constructed in 1886 and was accidentally burnt down in 1887. This second building was built in 1889 and burnt down in 1920. 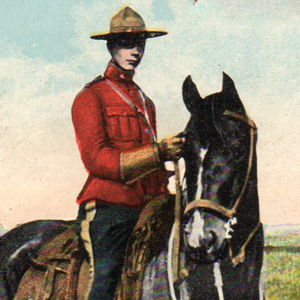 During the period of the RNWMP, horsemanship was a key component of basic training. 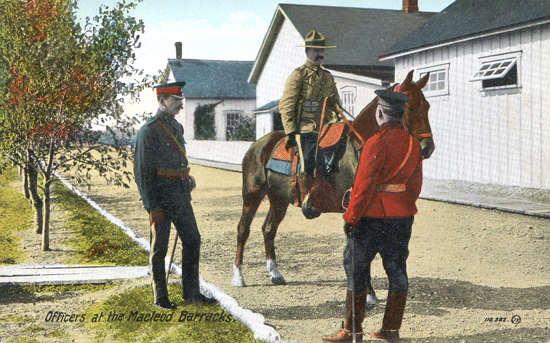 The following photographs were taken at Depot during the RNWMP era. It is interesting to note that these early photographs were black and white then hand painted to add colour. 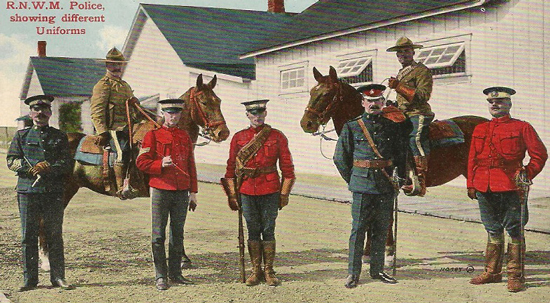 Photograph of three RNWMP members: doctor on left; officer on the right and mounted member (Source of photo – Ric Hall’s photo collection). 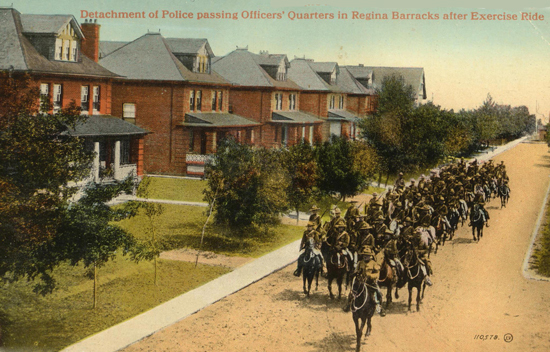 If you have old photographs which you would like to include in a forthcoming Ric Hall’s Photo Corner, please email Ric at rshall69@shaw.ca. Ric will scan the photographs and return the originals to you.